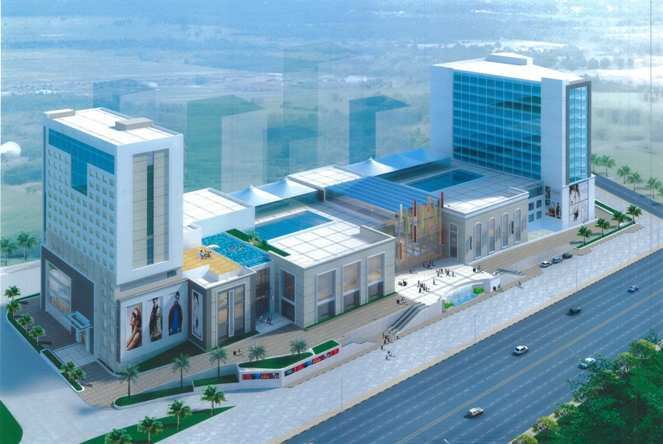 The Arena Town Center Retail Mall will consist of 500,000 square feet of high quality building, built to international standards, at an estimated cost of INR. 200 crores. Co located in an SEZ project, sprawling across 36 acres, it will in addition consist of about 3 Million sft of IT / ITES. The Arena Town Center Mall will have hypermarket, food courts, etc as well as all modern amenities to make shopping here a pleasurable experience. Located right opposite to the international cricket stadium in Uppal with a premium neighborhood consisting of SURVEY OF INDIA, GE, CCMB, CDFD, NIN, NGRI, IICT, this will have excellent catchment areas. Non availability of any Mall of this magnitude, in this vicinity presently will offer the occupiers, the first mover advantage. Proximity to Uppal inner ring road provides excellent connectivity to International Airport. All in all, a right destination for top global players in Retail industry.